The study, published in the European Respiratory Journal, revealed that the pneumococcus bacteria is not only an airborne virus but it can spread physically as well. Yes, you have heard it right! 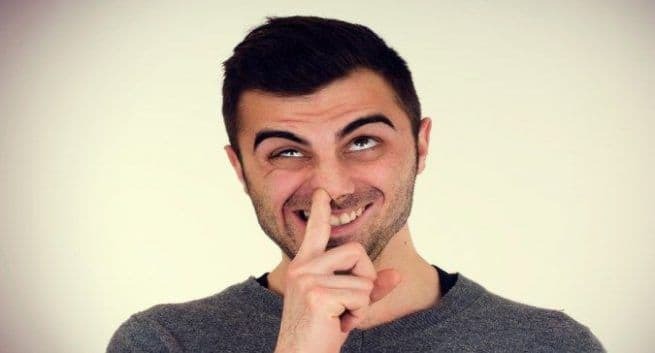 since the study says that picking your nose can lead to serious illness and if you like to take that dig then you should think twice before doing so. Researchers from the Liverpool School of Tropical Medicine (LSTM) undertook the research highlighted how vital it is to keep your hands clean in order to cut down your risk of suffering from serious health ailments. The study was funded by Unilever and the Medical Research Council and forty adult volunteers were used for the study. By using different hand to nose methods, the volunteers were randomly assigned into four groups and exposed to certain bacteria. One group was exposed to the bacteria in water while the other group was exposed to air-dried bacteria. Reportedly, the researchers found that participants were as likely to get the bacteria in their noses whether they were exposed to it using those dry or wet samples. If participants poked picked or even rubbed their noses, it was also found that the same amount of transmission was recorded. According to Doctor Victoria Connor is a clinical research fellow at LSTM who is the lead author on the study, pneumococcal infection is a main cause of death across the world. Reportedly, it is estimated that it is responsible for 1.3 million deaths in children under the age of five annually. Reportedly, the elderly and people with other causes of impaired immunity like chronic illness, are also at a higher risk of pneumococcal infections. According to Dr Connor, the presence of bacteria can also boost the child ’s immune system and can lower their chances of carrying it again later in life. But for parents, hands are likely to be involved in transmission, this may be significant when children are in close contact with elderly people or the ones with reduced immune systems.